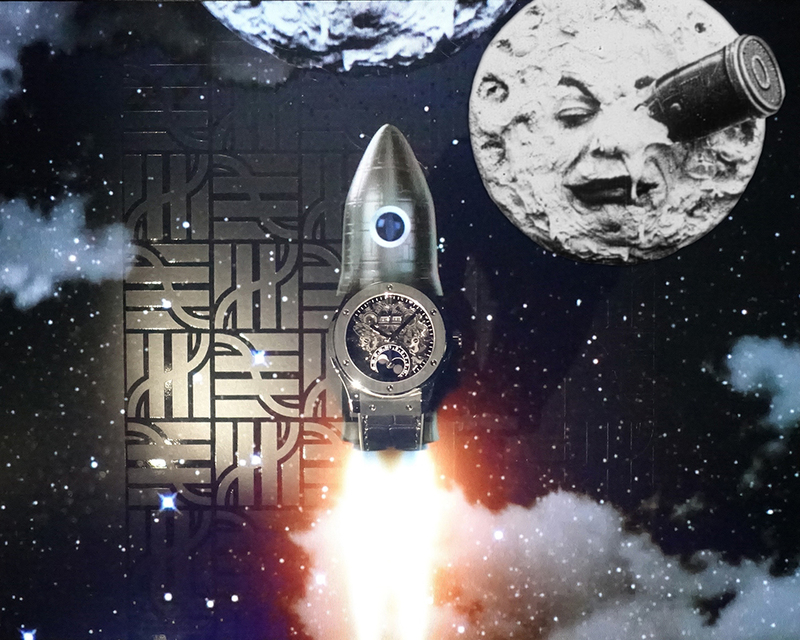 Hublot and the trip to the Moon by George Méliès. 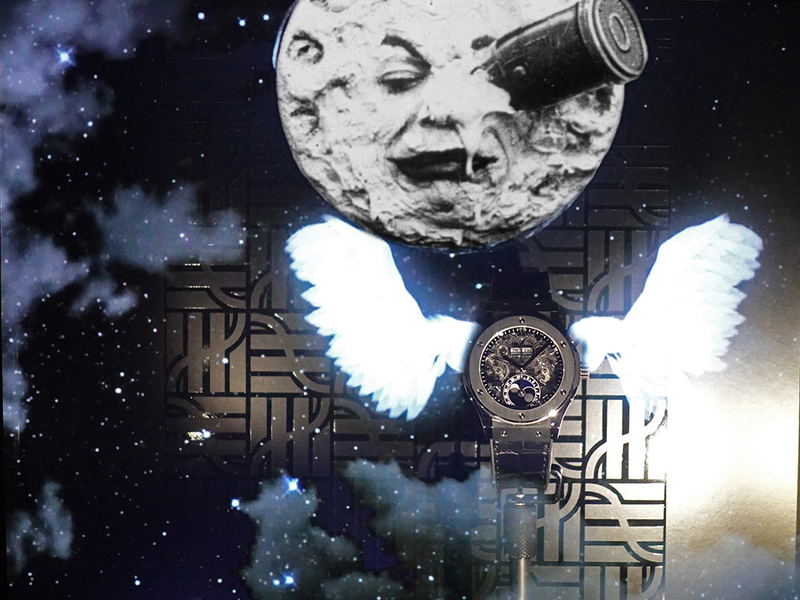 Hublot’s new display case propels the wristwatch to the stars to meet George Méliès’ Moon. A trip that combines technical wizardry and poetry. Ready for take-off? Magic touch: It is neither a touch button nor a touch screen. The entire display case becomes tactile. Simply brush it and the action starts. It doesn’t matter if it is glass, wood or metal.